The Fossil Stone team enjoys making what seems like the impossible, possible. 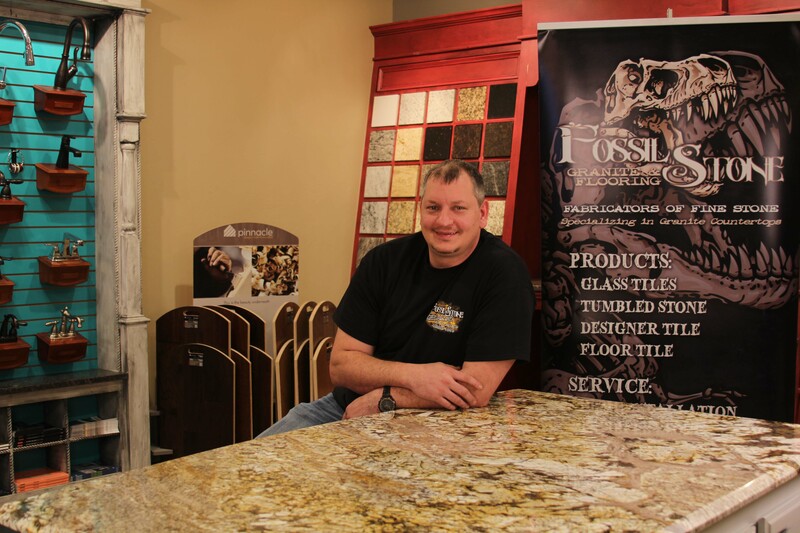 Fossil Stone has all of the skills needed to complete a home improvement project from start to finish. We can handle every aspect of a project including cabinet carpentry, plumbing hook ups, back splashes, and other home improvement needs. We eliminate the need to deal with multiple contractors, saving you, the homeowner, the headache of juggling bills and timelines. While running his granite business, Cary Small (owner) noticed that homeowners found it difficult to deal with a handful of contractors for one project. Seeing a need for better service, Small started expanding his team and business to cover more of the homeowners’ needs. Not only will the client eliminate dealing with tradesmen from several different companies, they will observe a higher quality of work because the project is overseen solely by one company. Consolidating the construction and installation process ensures a more cohesive plan and fluid project completion.The Fossil Stone team has over 60 years of combined experience in granite, tile, cabinetry, paint and special finishes. With our family owned business growing, we have moved to a new location. Our new building houses a full size showroom, tile design center, and more product displays with on-site consultations. We pay very close attention to detail and we desire to leave you with the best quality product possible. We look forward to working with you on your next project!